Canadian song writer, performer, and poet Leonard Cohen wrote the song Hallelujah in the early 1980s. He recorded and released it in 1984. 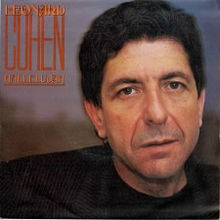 Cohen recorded the original version of Hallelujah on his Various Positions album. That version, which is still heard more often than not contains several biblical references. The most notable are the stories of Samson and Delilah from the Book of Judges (“she cut your hair”) as well as King David and Bathsheba (“you saw her bathing on the roof, her beauty and the moonlight overthrew you”). There is much debate about the meaning of the words of Hallelujah, and what exactly Cohen was suggesting is so spiritually uplifting. Nevertheless, the song continues to be performed in situations where a song of celebration seems appropriate. See our selection at PracticeTracks.org. Join for access to our hundreds of titles, and for weekly updates. The first month is free.